Director Samit Kakkad Upcoming Marathi Movie titled 'Bachchan', with Ameya Vinod Khopkar Entertainment and Purple Bull Entertainment. 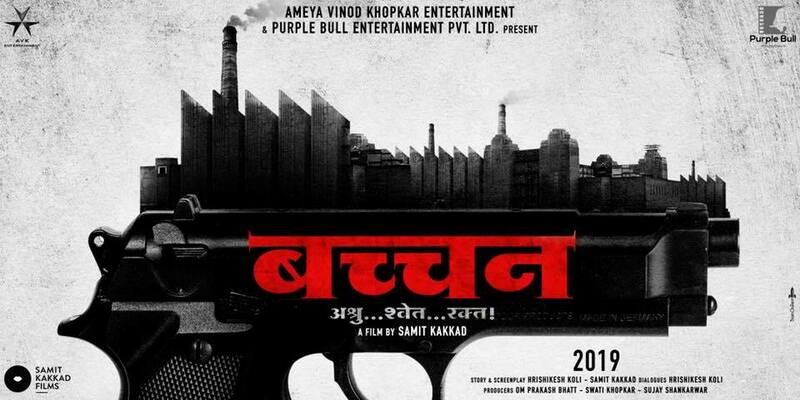 Writer-Director Samit Kakkad has announced his next Marathi film Titled "Bachchan". The story and screenplay of the film is written by Samit himself and Hrishikesh Koli. while the latter has also written dialogue for the movie. The movie has been backed by "Ameya Vinod Khopkar Entertainment" banner, which had previously backed the box office hit movie like 'Lai Bhaari' and 'Ye Re Ye Re Paisa' and noted production-distribution house "Purple Bull Entertainment". The upcoming film will go on floor somewhere in September-October 2018 and will be shot in Mumbai and parts of Maharashtra. The cast of the film has not yet announced. Speaking about the film and the intriguing title, Kakkad said in an official statement. “I am a huge Amitabh Bachchan fan. Bachchan is a script that is very close to my heart and when I narrated the film to Ameya Khopkar and Swati Khopkar, they both shared my excitement. This is my tribute to the legend himself and is a gritty action drama.” said director Samit Kakkad. The upcoming film "Bachchan" has been produced by Swati Khopkar, Om Prakash Bhatt and Sujay Shankarwar under the banner Ameya Vinod Khopkar Entertainment and Purple Bull Entertainment Pvt. Ltd.
"Bachchan is a film unlike any other, weaving in reality into fiction so seamlessly. I had never read anything so interesting and I am happy we are producing it. Samit is an extremely talented director and we are positive that the audiences will love the film," Ameya Khopkar said. Writer-Director Samit Kakkad has previously entertained audience with beautiful and much acclaimed movie like Aayna Ka Bayna (2013) and Half Ticket (2016), where the latter has been to 28 festivals and won 31 awards across the world. He has also directed unreleased Hindi movie titled Ascharya F**k It (2018). When Quizzed about the release plan he quipped saying "This is my dream project and right now all our efforts are into making the film we set out to make. It is a grand film and I don’t want to work with pressure on having set a release date". However the film will be releasing in 2019.